Over the years of my working career I have been amazed by what my hands have crafted. Now retired from regular employment I have my little workshop in the basement where I always planned to produce some small projects that I enjoyed making over the years. Those were my plans but I was waiting to start this next year. A friend from church asked if I would be willing to make an Altar Table for another Church that she is a member of and I casually said sure. This was a while ago and thought perhaps it won’t come to fruition and let it drift into the long list of project possibilities. Well, as you can see it came about much sooner than anticipated and not of my own wishful thinking. As a craftsman of many different mediums I began custom woodworking about 28 years ago and semi-retired from it 10 years ago due to physical demands and in order to financially prepare for retirement. I worked for a Millwork, Door and Window Company creating the dreams to come true for many. “If you can dream it we can make it” and for most it happened. 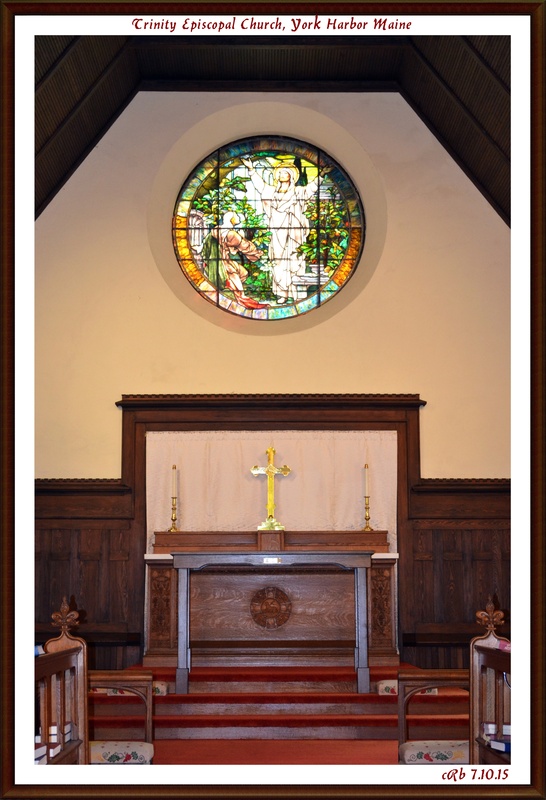 This Altar Table is part of a trilogy of projects for churches that I was reminded of as I finished and delivered it to Trinity Church, York Harbor, ME. Having never built anything like them before in my life or thinking that I could was a challenge beyond what I though my capabilities were. As you can see they are still there some 25 or so years later. 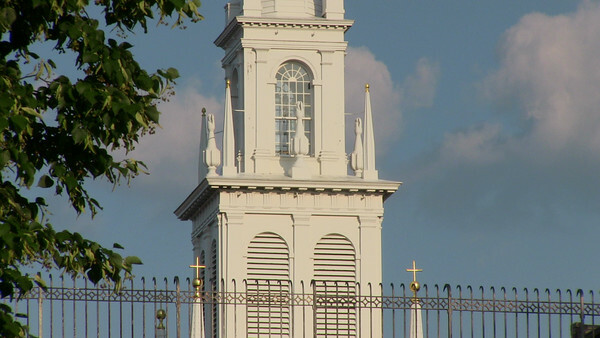 The next church projects involved work for many steeples that were being restored or repaired and I would have to copy the exact original details so that they would be as identical as possible. This led to the restoration of Old North Church in Boston and the making of a replica window for a National Historical Monument. 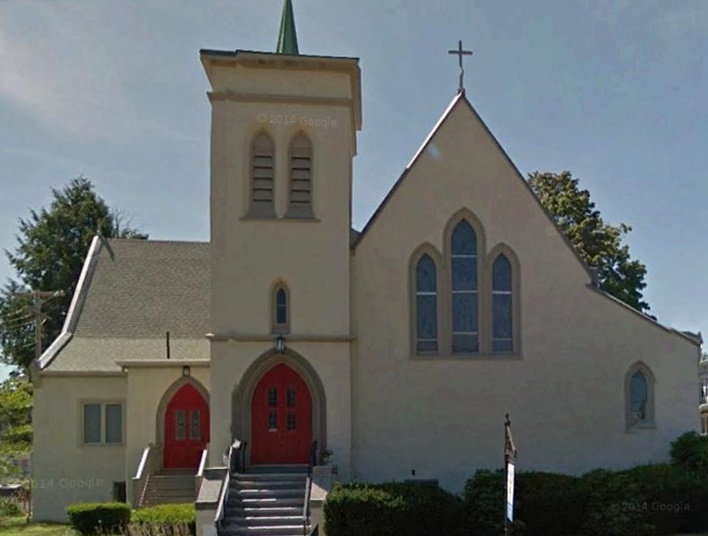 Well interestingly, all three of these churches are Episcopal, two named Trinity and I was brought up Episcopalian as a child in Boston, MA. Although I have helped to build and done work for other churches this Altar Table seemed to reflect to me a Trinity in itself. While I was building the Altar Table as with all my work, I was guided along the way from a source deep within myself, at my Soul level. This also directed me to think of the word Soul, for which we have some very lofty ideas. Perhaps it is really simple… that what is most important is working at what you love… as it reveals the Soul you truly are. A working soul in progress! May each of you enjoy being “A Working Soul” and create beauty wherever it is dreamed of. Yes, working at what you love as it reveals the Soul you truly are. So true. You have done beautiful work. I guess you must be a beautiful Soul! Lovely to read how creating this altar brought you close to your own soul, so simple and beautiful, just like life really is, simple and beautiful.